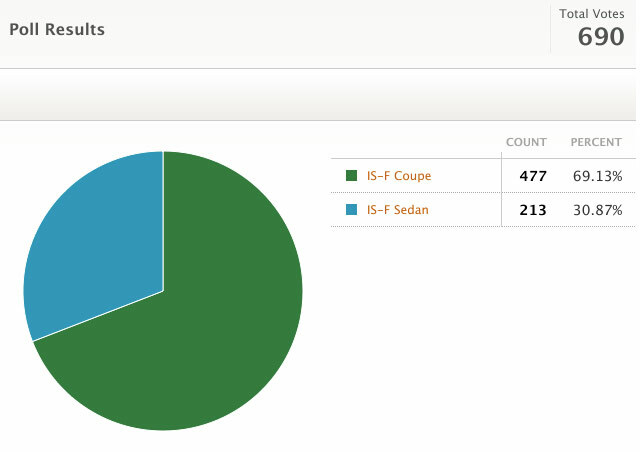 I expected the IS coupe to run away with this poll, but there’s plenty of interest in a hybrid sedan — I know it was my personal pick, but I was surprised by its second place finish. 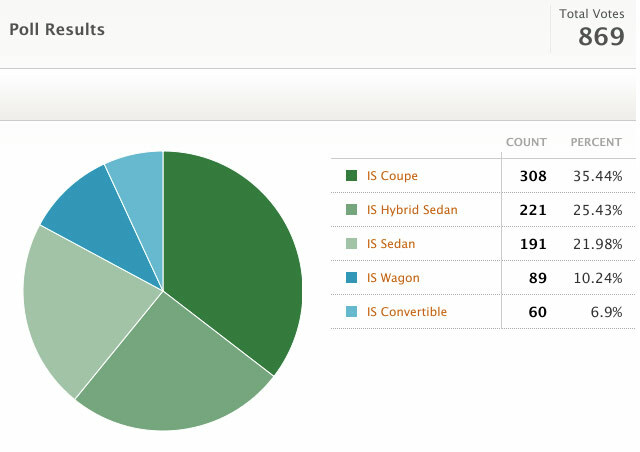 The IS wagon was a late edition to the poll, yet still managed to beat out the convertible option, which finished last with only 6.9% of the votes. This wasn’t even close — and for good reason, really. A two-door IS with a 400+ hp engine is a perfect match, and it’s hardly shocking that it beat out the IS-F sedan by such a wide margin.